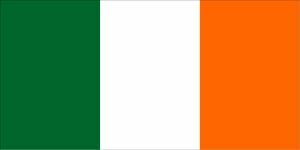 Please find our Irish English page here: Irish English. A short list which is fun to read is Irish slang in WhyGo Ireland. The BBC has a short page on Common Irish slang and there is also a list in TripAdvisor. Thanks Licia, I have added them to the post. John Loftus and Terence Patrick Dolan’s Hiberno-English Archive is an outstanding reference. Entries offer vernacular and literary examples of Irish-English, along with notes on pronunciation, etymology and usage. The above website led me to this page of Cavanese. Another wonderful resource is CELT, the Corpus of Electronic Texts, which has a wealth of historical documents.